Triple glazed large glazed walls. Triple glazed roof areas. Fixed sections, sliding sections, opening windows and doors. Wide design options with minimal frame dimensions. Slick modern design with the natural warmth of timber. Timber supporting frame inside, aluminium system outside. 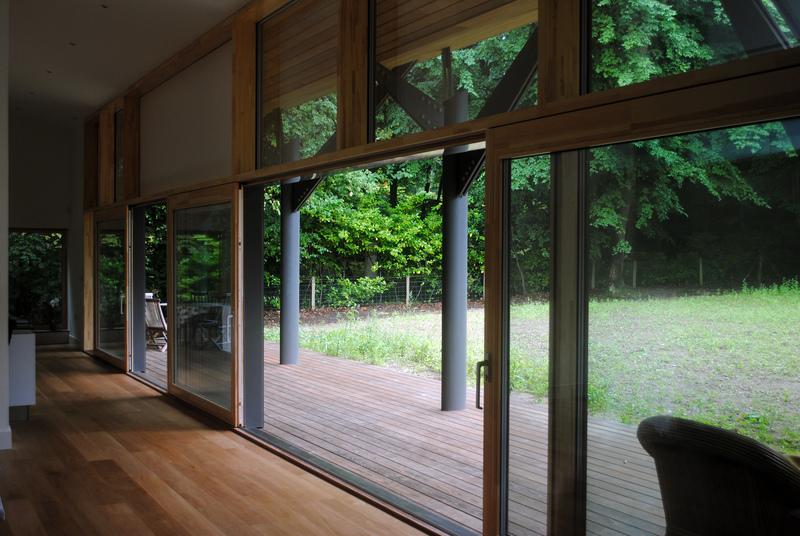 Natural beauty of timber and durability of aluminium system. No visible screw spots outside or inside. Maximum light and efficiency. Incorporating highly insulated triple glazed units. Options for solar protection glass. Easy on site assembly using Gutmann curtain wall system on our supporting timber frame with invisible fixings. Multiple gasket airtight sealing. Modular system allows for easy future changes to layout. Optional structural silicone external glazing seal. © 2019 GreenSteps Limited. All rights reserved.